Our Kind Of Traitor captures a very British fascination with espionage, international double-dealing and Britain’s place in the world. From the writer of Drive (Hossein Amini) adapting the hit John le Carré novel – the mind behind Tinker Tailor Soldier Spy, and directed by acclaimed Susanna White – the taut thriller Our Kind Of Traitor twists and turns its way around the world with dramatic consequences. “One of the strengths of John le Carré’s work is that he incorporates very important themes into a rollercoaster ride of a thriller,” says screenwriter Hossein Amini of le Carré’s novel Our Kind Of Traitor, which he has adapted into a major new feature film of the same name. Our Kind Of Traitor is the dramatic story of an unsuspecting married couple, Perry (Ewan McGregor) and Gail (Naomie Harris) on holiday in Marrakech, who meet the flamboyant and charismatic Russian, Dima (Stellan Skarsgård). He befriends them over games of tennis and lavish parties at his villa before revealing he is the top money launderer for the Russian mafia and wants to defect with his family to Britain. From that moment on, Perry and Gail are thrown into the fractured, dangerous world of international spies and dirty politics as they endeavour to save Dima and his family, and ultimately themselves. John le Carré was born in 1931. After being educated at the Universities of Bern and Oxford, he went on to teach at Eton before becoming an MI5 officer. In 1960, he was transferred to MI6, the foreign intelligence service, and worked under “Second Secretary” cover in the British Embassy at Bonn. It was during this period that he discovered his passion for writing, publishing Call for the Dead in 1961 and A Murder of Quality in 1962 before writing what is largely considered to be one of the great novels of the twentieth century, The Spy Who Came in from the Cold. The novel launched his career and in 1964, le Carré left the service to devote himself to writing. A number of le Carré’s novels have been adapted for the screen, starting with The Spy Who Came in from the Cold in 1966, starring Richard Burton and Claire Bloom. In 1979, Tinker, Tailor, Soldier, Spy was adapted for BBC TV as a seven part series starring Alec Guinness. The BBC later adapted Smiley’s People for TV in 1982, also starring Alec Guinness as George Smiley. A number of film adaptations followed, most recently the 2011 adaptation of Tinker, Tailor, Soldier, Spy starring Gary Oldman, Colin Firth, Tom Hardy, John Hurt and Mark Strong, and 2014’s A Most Wanted Man, starring Philip Seymour Hoffman in one of his last roles before his untimely death. 2016, the 50th anniversary of the release of the film of The Spy Who Came In From The Cold, will see the release both of Our Kind of Traitor on the big screen and of the six-hour television adaptation of The Night Manager, directed by Susanne Bier and starring Hugh Laurie, Tom Hiddleston, Olivia Colman, Elizabeth Debicki and Tom Hollander. John le Carré is one of the most respected and prolific writers of his generation and continues to produce some of the most important novels being published today. Our Kind Of Traitor is produced by Gail Egan of Potboiler Productions, with Simon Cornwell and Stephen Cornwell of The Ink Factory. The two companies recently collaborated on another le Carré adaptation, A Most Wanted Man. “It was a very strong, very relatable story,” says producer Simon Cornwell, who is also le Carré’s son. Set in London, Marrakech, Paris, Bern and the French Alps, director Susanna White, whose breadth of work ranges from Working Title’s Nanny McPhee and the Big Bang to HBO’s hard-hitting Generation Kill (about the US invasion of Iraq) to BBC period dramas such as the BAFTA winning Bleak House, Parade’s End and Jane Eyre, was drawn to the very cinematic aspect of the story, as well as its very contemporary themes. White is one of the few women in the world directing films on this scale. Hossein Amini is a film writer who was nominated for an Oscar for his adaptation of Henry James’ classic novel Wings of a Dove. He has also wrote the screenplay for Jude, adapted from Thomas Hardy’s novel, and has worked on Gangs of New York, and The Four Feathers.In 2011 he wrote the screenplay for Drive. In 2014 Hossein made his directorial debut with his own adaptation of Patricia Highsmith’s The Two Faces of January. He is currently working on The Alienist for Paramount and McMafia for Cuba Pictures. 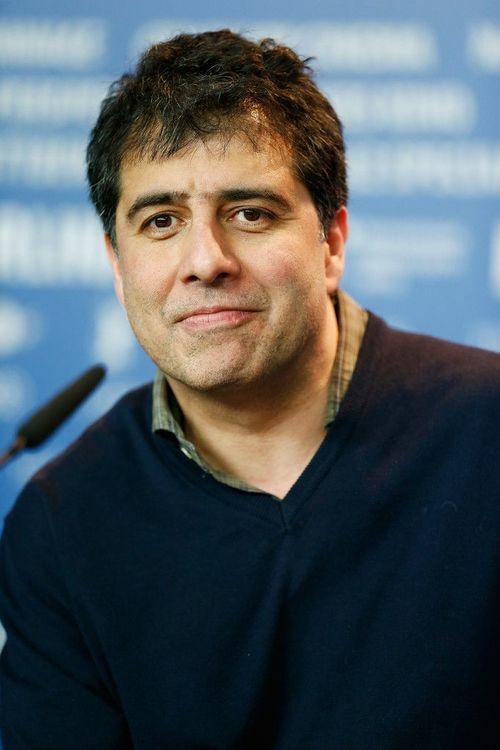 Hossein Amini is one of the UK’s most accomplished screenwriters, with credits including The Wings of a Dove, Drive, and an adaptation of Patricia Highsmith’s The Two Faces of January, which also marked his feature film debut as a director. 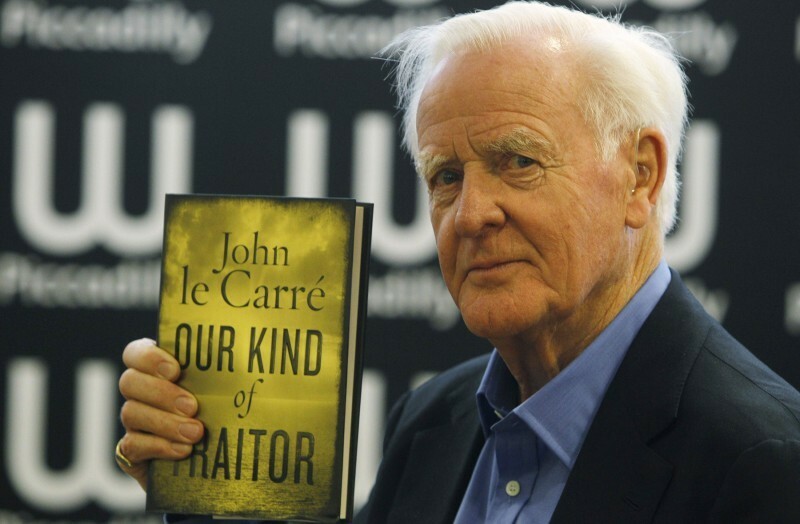 A natural choice to adapt Our Kind Of Traitor, he was fortunate to be slipped a copy of le Carré’s as-yet-unpublished manuscript by the agent he shares with le Carré (real name – David Cornwell). Amini worked closely with le Carré on the first couple of drafts. Le Carré’s characters have long been engrained in the public imagination as the crumpled, cynical counterparts to the polished dash of James Bond. For the filmmakers, the job at hand was to craft a feature to fit into the le Carré canon and also to stand out within it. 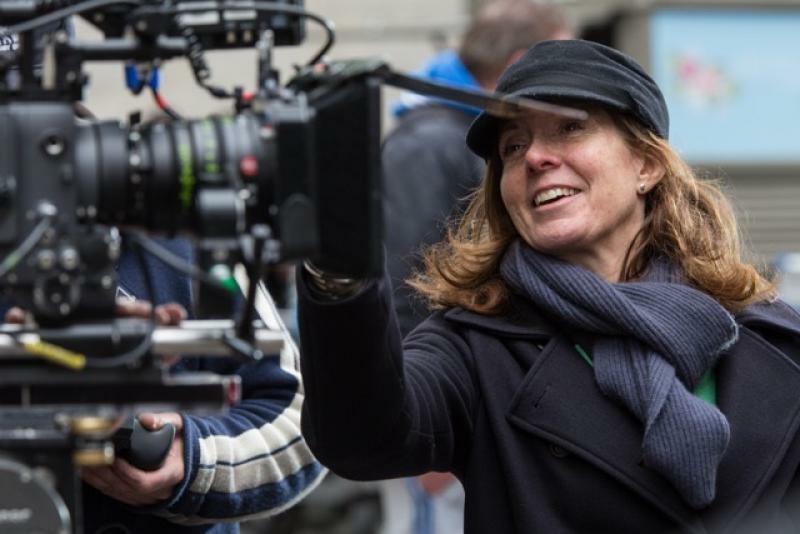 Twice Emmy-nominated director Susanna White is highly prolific, recognised for her work on BAFTA award-winning series, and known for her wide-ranging body of work with some of the world’s top writers from Tom Stoppard to David Simon. In 2013 she directed the critically acclaimed Parade’s End (BBC/HBO), adapted for television from the novels by Ford Madox Ford by Sir Tom Stoppard. Previously for HBO she directed David Simon’s Generation Kill. She made her debut feature film Nanny McPhee and the Big Bang for Working Title Films. White was lauded for her six episodes of Bleak House for the BBC, winning a host of international broadcast awards including the BAFTA and RTS awards for Best Drama Serial. From this, White went on to direct another highly-regarded drama series for the BBC, Jane Eyre, which earned her an Emmy® nomination. White’s early career includes award winning Volvo City about the Hasidic Jewish community of north London and the BAFTA and Emmy nominated Tell me the Truth About Love (about WH Auden). Le Carré’s novels always drill with piercing acuity into the global issues of the day: the pharmaceutical industry in The Constant Gardener; the war on terror in A Most Wanted Man; in Our Kind Of Traitor it is private finance and the impact of Russia – specifically Russian money – on the entire spectrum of British society, from finance to politics to the streets of London, which comes under scrutiny. “One of the themes of le Carré’s work is that Britain has almost declined as a world power but we still have these British values that come from a time when Britain was on top of the world and had a moral responsibility,” Amini suggests. McGregor, who boasts an eclectic career with memorable roles in films including Moulin Rouge, the Star Wars franchise, and most famously as the heroin addict Renton in his break-out film Trainspotting, read the script before going to the book. Perry is thrown into this world and copes with it pretty heroically but at same time is almost wide-eyed in his purity and his reaction to the moral compromises and the darkness in people he is witnessing. Susanna White praises McGregor’s ability to engage with audiences. “He and I talked early on about the challenges of playing a real relationship of people whose marriage is in trouble,” she says. “Part of the challenge was keeping audience appeal while seeing his weakness at the beginning of the film and his journey to rediscovering himself, who he is and redefining his relationship of with Gail. It was a very interesting journey with Ewan. He wasn’t afraid to play a character that was weak at the beginning of the film but who gains in strength. The other thing we were both keen on was the idea of a mixed race relationship,” says White.